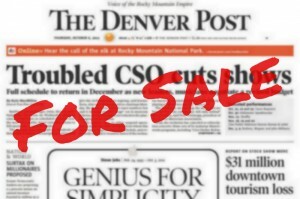 DENVER NEWSPAPER GUILD and Denver Post representatives met again Jan. 20 and continued contract talks. Management presented a list of issues similar to the list presented to the Guild in the first meeting. The Post again wants to discuss circulation call center costs and the possibility of outsourcing that work. That issue will be taken up during the next bargaining session Feb. 8. MediaNews Group is in the process of consolidating most finance functions from each paper in the chain to their finance center in Colorado Springs. The Post proposes to move a substantial amount of its finance work to the consolidated group. A date to discuss this issue has not been scheduled yet. Please continue to make your views known by commenting below. I just wanted to clarify that the call center is both inbound and outbound. It amazes me that although the reps at the call center have done everything the company has asked of them they still feel the need to outsource. Disgusting! Finance has always been talked about being outsourced but at what cost will it effect customer service and payments. We are here to support the entire paper.